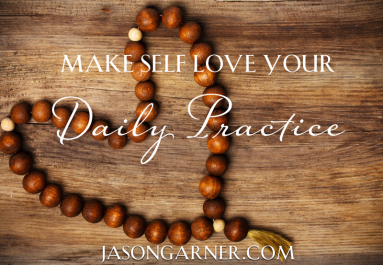 Make self-love your daily practice. 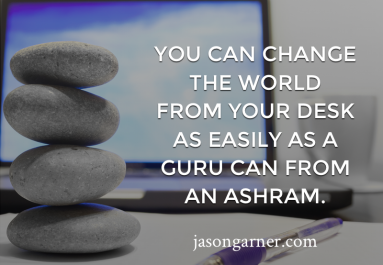 You can change the world from your desk as easily as a guru can from an ashram. 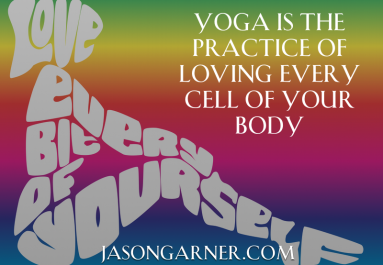 Yoga is the practice of loving every cell of your body. 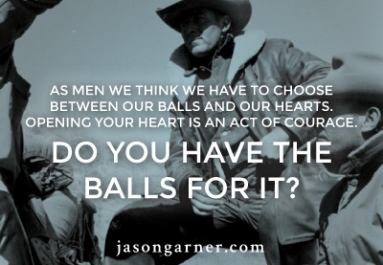 As men we think we have to choose between our balls and our hearts. 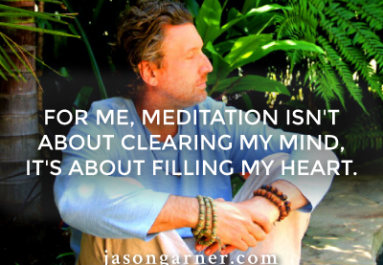 Opening your heart is an act of courage. Do you have the balls for it? 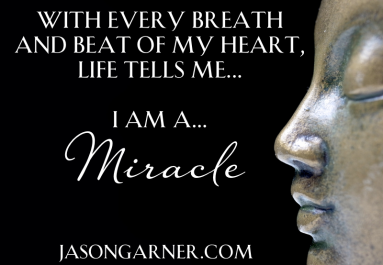 With every breath and beat of my heart, life tells me … I am a miracle.